Olympic rower James Cracknell is to fire the cannons to mark the start of the 05-06 Clipper Round the World Yacht Race at the weekend. 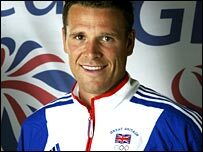 Cracknell, who has won two Olympic gold medals, said he was full of admiration for those taking part in the race. Ten vessels will set off from Liverpool on Sunday to cross 35,000 miles of sea, visiting 12 ports before returning to the city next July. Liverpool's yacht will represent England in the 10-strong field. The Liverpool '08 Clipper will be led by 27-year-old skipper Tim Magee along with three Liverpool residents who won their places through a Liverpool Culture Company competition. The yachts will visit 12 international ports - including those in Brazil, Australia, China, Canada and the United States - before the race returns to Liverpool in 10 months' time. Cracknell will be joined at the start of the race by Jack Chamem, 10, from Bridport, Dorset, who won a nationwide competition. He said: "I've always had a fascination with the ocean and am racing across the Atlantic in the autumn in a rowing boat but I'm not sure I'd be ready to tackle the Southern Seas just yet! "I'm sure it'll be a life-changing experience and wish them all the very best of luck." Cracknell has just windsurfed the English Channel on a 16ft surfboard.